Thanksgiving is a time for family, friends and giving thanks for another year! Here at Sea Turtle Camp, we are grateful for another successful summer season of sharing our passion for the ocean and marine science with the leaders of tomorrow! As you reflect this Thanksgiving, giving thanks for your blessings, consider sharing that spirit of gratitude with the ocean that we love. Get back to the basics! Avoid using disposable dishes and silverware this Thanksgiving. Doing the dishes together becomes a group activity. 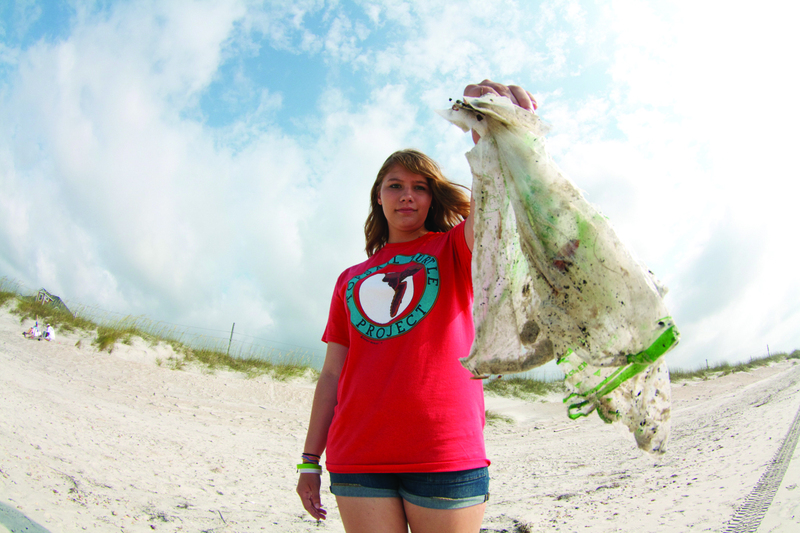 The little extra effort goes a long way in reducing our waste and the potential for marine debris. Work off your turkey dinner by getting down to the beach for a walk. 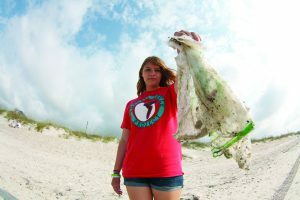 Organize a beach clean-up with your family and friends. Not only will you enjoy the exercise, but you’ll also be making a difference. Having seafood this Thanksgiving? Make sustainable choices. 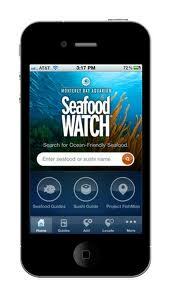 Visit Seafood Watch’s website for more information or to download a consumer guide. They even have an app you can download!!! As you start planning your holiday gifts, consider adopting a sea turtle from The Karen Beasley Sea Turtle Rescue and Rehabilitation Center! Volunteer run, this amazing organization works tirelessly to promote the conservation and protection of all species of marine turtles, through the rescue, rehabilitation, and release of sick and injured sea turtles. 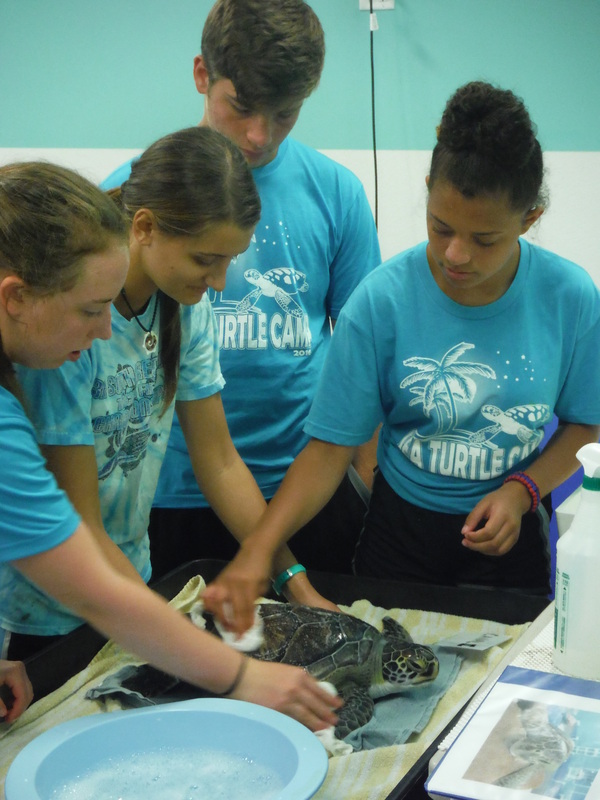 The sea turtle hospital also works to inform and educate the public about the plight of all sea turtles and the threat of their extinction, while providing an experiential learning site for students of biology, wildlife conservation, and/or veterinary medicine from around the world! There are several different levels of giving and all sea turtle adoptions come with an adoption certificate, color photo of your rescued sea turtle, and an information card. Share your passion for sea turtles and the ocean with your family and friends. Educating others about the importance of marine conservation and what they can do to make a difference is just the beginning!